Butterfly monitoring schemes are at the heart of citizen science, with the general public and researchers collaborating to discover how butterfly populations change over time. To develop the concept further, a new paper in the journal Nature Conservation shows how systematically placed, grid-based transects can help schemes by reducing habitat bias. Rapidly increasing in number and popularity, Butterfly Monitoring Schemes have proved to be a method generating important, high-resolution data. Reliant on enthusiastic volunteers, who record butterflies along freely chosen transects, the collected observations are then used to explore and understand trends in butterfly numbers and distributions. However, there is a risk associated with free site selection: some habitats can become underrepresented and monitoring results therefore less general than intended. Butterfly hot-spots, such as semi-natural grasslands, tend to be favoured over less well-known environments. This means that butterflies living in other ‘less popular’ habitats, such as forests and wetlands, are covered less thoroughly and population declines of these species risk going undetected. 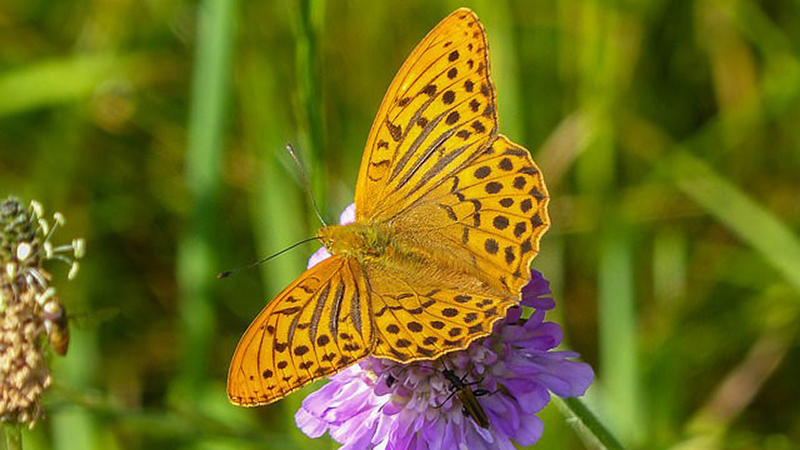 A team of Swedish researchers have now investigated the potential of a new, complimentary grid-based design, where butterfly recorders are to walk systematically placed transects across the country. The results of testing the new method showed that butterflies were abundant in traditionally overlooked habitats such as coniferous forests, bogs, and clear-cuts. Additionally, the systematic transects also performed well in avoiding habitat bias. This work has been carried out within the EU project STEP (FP7 grant 244090-STEP-CP-FP) and the Swedish Butterfly Monitoring Scheme (Swedish EPA contract 2227-13-003). It is part of the strategic research area Biodiversity and Ecosystems in a Changing Climate, BECC. The city of angels and flies: 12 unknown scuttle fly species have been flying around L.A.